Riva Grill, Lake Tahoe, CA. 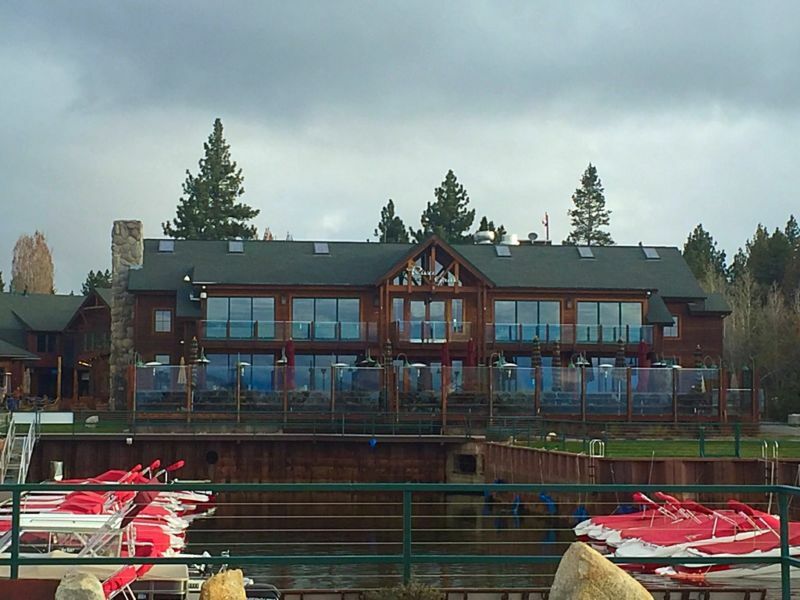 On a weekend trip to Lake Tahoe, The Brit, my mother, and I visited several great restaurants; Riva Grill was our favorite. How could it not be? The view is stunning and the food is its equal. 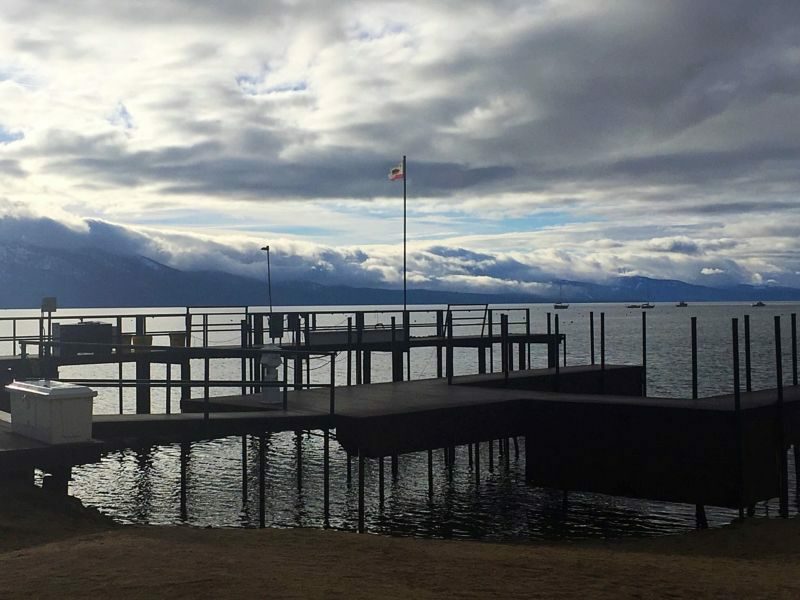 It sits right on the lake with views of the snow-capped mountains in the distance. The service could not have been better. View from the Riva Grill just after sunset. The three of us were hungry that night and were in the mood for wine. I was happy to find that they had Rutherford Hill Merlot by the glass at a very reasonable price. I ended up ordering two glasses and really enjoying myself. 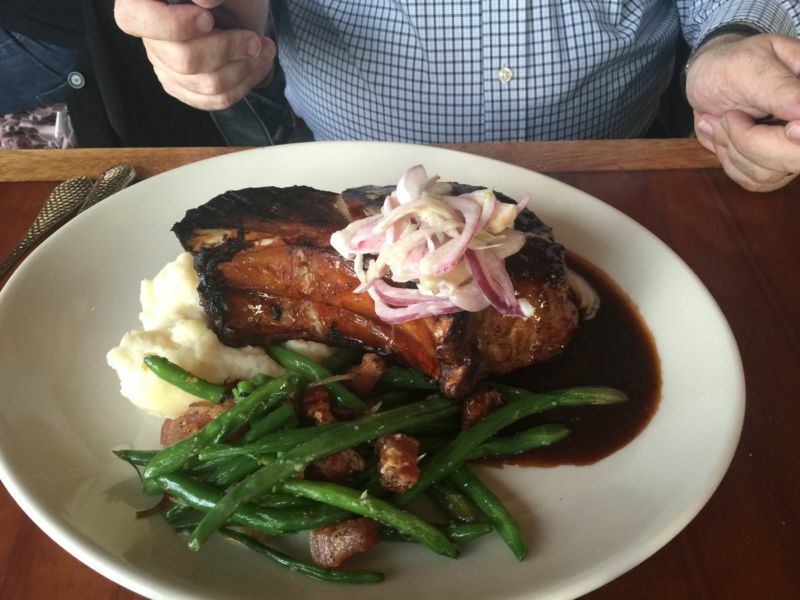 The Brit ordered a pork chop in a red wine reduction accompanied by green beans and mashed potatoes. 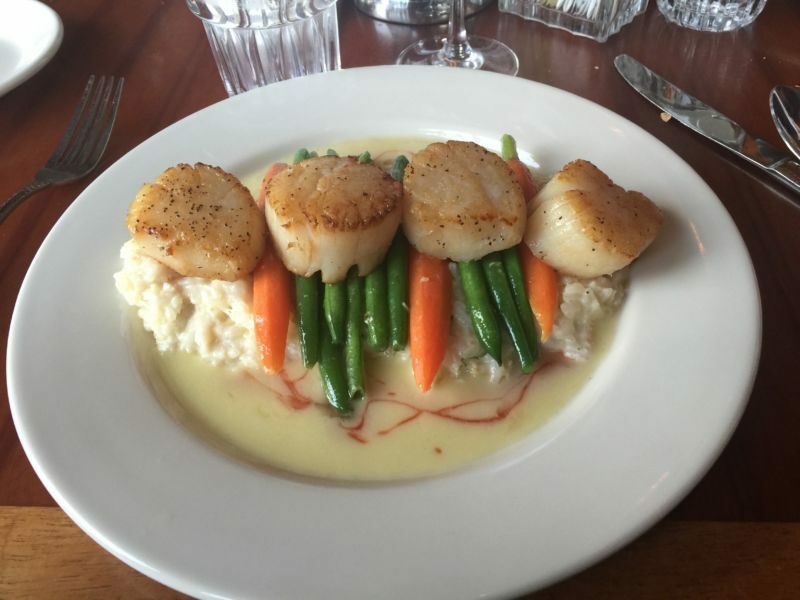 I ordered pan seared scallops in a beurre blanc sauce with a blood orange reduction ribbon. This came with risotto, carrots, and green beans. 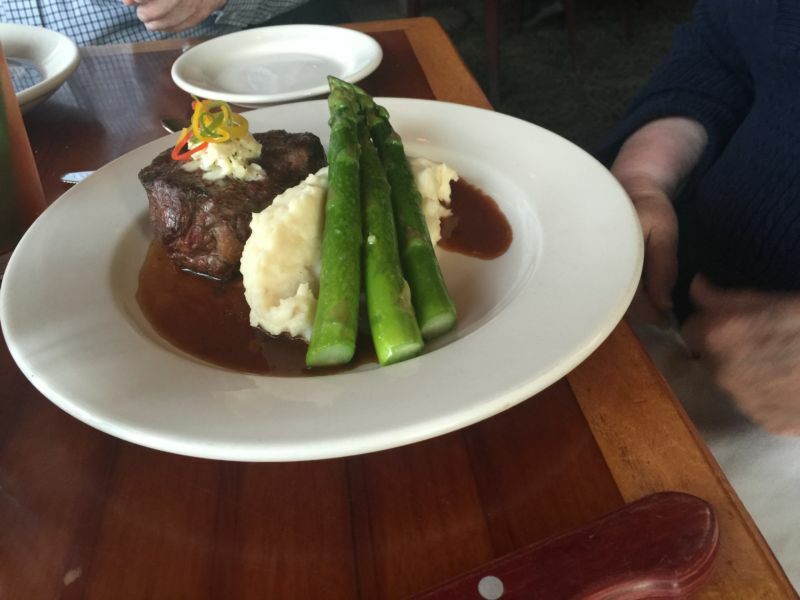 My mother ordered the filet mignon without the bacon (they actually cut her a fresh steak as she doesn’t care for the flavor of bacon) with a blue cheese butter, mashed potatoes, and asparagus. The Brit’s pork chop was humongous; I mean HUGE! I was very doubtful The Brit would actually make a dent in all that food. He proved me wrong and demolished the entire thing. The red wine reduction was beautiful with the tender cooked pork chop. It was comfort food at its best. My Mom’s Filet Mignon was gorgeous. It looked every bit as impressive as it tasted. I was so grateful that they could accommodate her and cut her a new steak. The cook was a perfect medium rare. The meat was both tender and juicy; it melted in the mouth and was delicious. Finally, we come to my amazing plate. The minute I left the restaurant I started looking up recipes for blood orange reductions and beurre blanc sauces. It was so outstanding, just thinking about it brings the flavors vividly back to my mind. The scallops were perfectly cooked; tender and sweet and not at all rubbery. But, it was the light beurre blanc with the ribbon of the blood orange reduction that got me. Wow, just wow. I can’t wait to try to make this at home. The risotto and the veggies were cooked so perfectly that they were a joy to eat; I wanted to lick my plate. At the end of the night, we were so full we didn’t want dessert but we forced ourselves, for my mother’s sake. You do believe me don’t you? 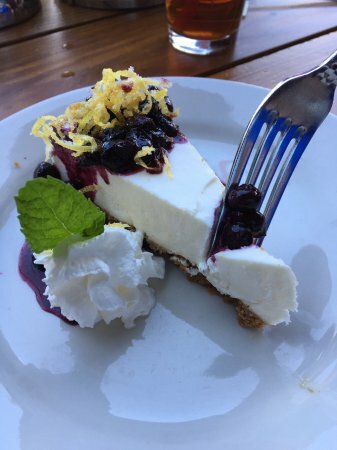 We ordered their blueberry lemon cheesecake. It is wonderful, bright, and light; this cheesecake packs a punch with flavor. The blueberries burst in your mouth after the tartness of the lemon. This restaurant is great for couples or adult groups. It really isn’t great for kids. 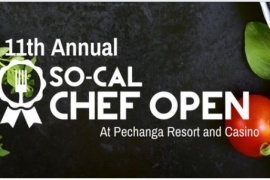 Treat yourself for a night out and dine at this beautiful place when you visit Lake Tahoe. San Antonio River Walk and the Alamo. A taste of old and new Texas.